noel™ 11" wreath with ornament balls - modern wreath hand decorated wreath with silver/gold/blue/green glass balls christmas and holiday decoration ideas collection searching for holiday decorating ideas with a stylish edge? with glass balls in a wonderful hue of metallics; we've got what you are looking for. a time-tested holiday classic: our decorator's-choice noel™ wreath features the most wonderful color combination and a classically styled design. 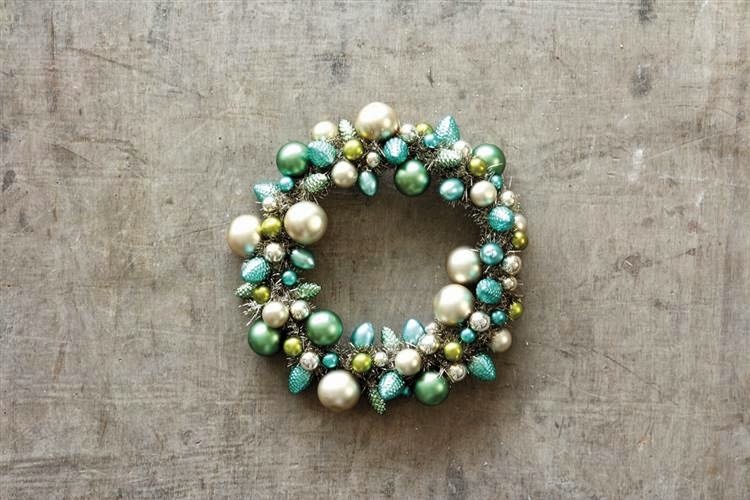 instantly add a touch of sophistication and style to your door or a wall of the home with this 11 inch wreath. hand-crafted from an attractive mix of glass ornament balls in complimenting color ranges such as silver, gold, blue and green. wreath comes fully assembled and is ready to hang. measures about 11 inches in diameter.